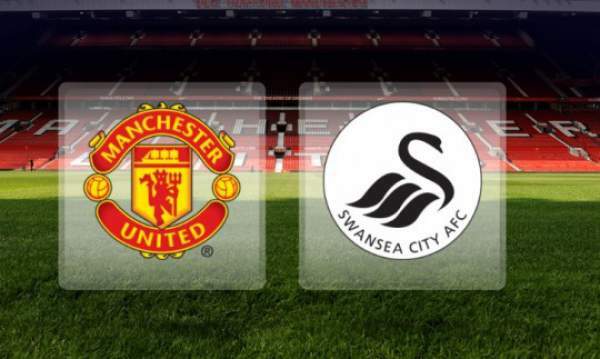 Swansea City vs Manchester United Live Streaming: Today, we have the second match day of the Premier league and Man Utd visits the Welsh side Swansea City at the Liberty Stadium for their game. Man United are currently the league leaders with three points and a goal difference of 4. On the other side, the home team is 12th on the table with 1 point. SwanseaCity will be facing probably the best team in the Premier league based on what we saw on the first match day. But being at home will be good for them as they have the home fans behind them. Swansea have a good record against United as they have lost only three of their last 14 home games, winning eight and drawing three. Fernando Llorente is back in training and will probably make the bench for this game. They are currently on a six-match unbeaten run with four wins and two draws. They played out a goalless draw against the Saints in their previous game. Man United won their previous away game against Swansea City and will try to win again. Their game against West Ham United showed every team that they mean business this time in the league. Romelu Lukaku became then fourth Manchester Utd player to score a double on debut. Goals from Anthony Martial and Paul Pogba ensured three points and a good goal difference on the first match day. Jose Mourinho has strong record against Swansea as he have won five games and drew two in last seven games. Manchester United thrashed West Ham by 4-0 and they look pretty strong as compared to the Swans. Come back for Swansea City vs Manchester United Live Streaming, epl live score, game commentary, match result, video highlights, scorecard, and much more. What are your views and predictions regarding the match? Let’s know in comments. Don’t forget to share the articles on social media sites. Previous articleNew 50 Rs Note Images of Indian Currency Leaks: Is It Demonetization 2.0?